Pianist Mark Knoop plays a lunchtime recital exploring various notions of repetition, rhythmic process and economy of musical material, tracing a path through Scarlatti to the wry understatement of contemporary composers Tim Parkinson and Laurence Crane, and Debussy to the dizzying rhythmic machines of Conlon Nancarrow. This concert coincides with the two-day conference, Again & Again: Musical Repetition in Aesthetics, Analysis and Experience, which City, University of London is hosting 25-26 April 2019. London based pianist and conductor Mark Knoop is known for his fearless performances and individual interpretations. He has commissioned and premièred countless new works and worked with many respected composers including Peter Ablinger, Joanna Bailie, Michael Finnissy, Bernhard Lang, Cassandra Miller, Matthew Shlomowitz, and Steven Kazuo Takasugi. His versatile technique and virtuosity also bring fresh approaches to the standard and 20th-century repertoire. Mark performs regularly throughout Europe, the United Kingdom and Australia and in New Zealand, South Korea, Mongolia, United States of America, Canada and at festivals including Borealis (Bergen), Huddersfield, Klang (Copenhagen), Klangspuren (Schwaz), MaerzMusik (Berlin), Musiikin Aika (Viitasaari, Finland), Spor (Århus), Transit (Leuven), Ukho Music (Kiev), and Ultima (Oslo). 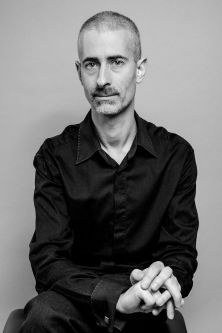 He performs with various ensembles including Plus-Minus (London/Brussels), WeSpoke (London/Lausanne), and Apartment House (London), and has conducted EXAUDI (London), Scenatet (Denmark), Britten Sinfonia (UK), Crash Ensemble (Ireland), and London Sinfonietta. His recordings of music by John Cage (Wergo and Another Timbre), Morton Feldman (Another Timbre and all that dust), Bryn Harrison (Another Timbre), and Karlheinz Stockhausen (HatHut) have been critically acclaimed.